Upgrading our system, email will be shut down for awhile. Best time to ever see the best of the best Top Pros practicing with easy access? courts and a giant board that let’s you know who’s practicing where and when. It’s a must do for all tennis fans. I’ve got lots of options for players wanting coaching, evaluations, videos! To find out how you can upgrade your game and strategy! Here’s your chance to get coaching from the best in the world. I’ve teamed up with Darren Cahill, Roger Rasheed, and Paul Annacone to provide a full range of truly interactive online tennis coaching services with one goal – to make you a better player! From Video Lessons, to Pro Match Analysis, to Ask A Pro Coach, to Pro Stroke Analysis, to Live Chat, and More we’re providing access to special features available no where else in the world! 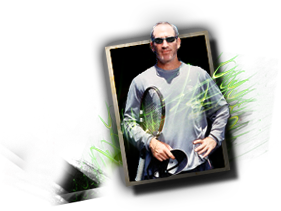 Click over to www.ProTennisCoach.com now to learn more about how you can get personal coaching from the best in the world! This is the pair’s first semifinal meeting at a Grand Slam since 2005 Roland Garros and just the 2nd time that they have met outside of the final in a major. In Grand Slam play Nadal leads Federer 7-2 – both the Swiss’s victories have come at Wimbledon.